Like a computer, our brain can only hold so much information at one time. Usually, that involves thousands of subconscious decisions every second, our brain constantly feeding our body information it needs to keep the blood pumping and the body moving. But that can also include thousands more conscious thoughts as well, decisions and choices we make every day that race across our mind like the Indianapolis 500. If you’re like most people with an active mind, those thoughts can be overwhelming at times. It’s hard to move past those thoughts and find a sense of peace that comes from a still mind, but one of the best ways to clear your head is by utilizing a brain dump. A brain dump is exactly as it sounds: you take the thoughts that are in your head and dump them onto another storage device, like a journal or a piece of paper. The brain can only process a fraction of what’s inside your brain at any one time, so removing them from active memory to a place where you can see and recall them at any time helps the body feel relaxed and increases your productivity. No longer are you worried about what you’re going to make for dinner, now the only thing that matters is the task at hand. The benefits of a brain dump can be enormous. For instance, you’ll regain clarity and peace of mind that may have eluded you. You’ll feel more in control of your life, you’ll regain some of those still thoughts that were missing from your life, and you might even attain a deeper level of sleep and relaxation. Moreover, your productivity will skyrocket now that you have all the extra space and freedom to think about what you need to think about. If you’ve never done a brain dump before, it’s remarkably easy, although may take some time to get the hang of it. 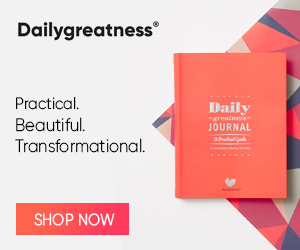 Grab a journal or notebook, and begin to write the words that come to your mind freely and quickly. Don’t worry about grammar or word choice or even spelling, just put whatever comes to your mind on the paper as fast as you can. Depending on how full your mind is, you may end up with anywhere from one paragraph to ten pages, but no matter what, get those thoughts out of you! In creative writing, this process is called freewriting. Authors use it all the time when they encounter a mental block because it removes the hesitancy and subconscious biases that may be blocking perfectly good words from coming out on the page. In life, it’s no different. There may be feelings and thoughts we have that keep us from being the person we know we need to be. In this case, utilizing an effective brain dump is not only help to get our work on track, but vital to keeping our life in balance.